Happy April Fools’ Day! If you thought last year’s dog pranks were fun, wait until you take a look at this year’s shenanigans. Here are a few of our favorite dog pranks so far from April Fools’ Day 2016! This year’s election “has gone to the dogs,” as Petco says in their ad for the Presidential Puppy Podium. Your pup can look extra dignified eating and drinking like he’s giving a press conference to the nation. And honestly, would anything your dog says be more ridiculous than the candidates so far? Not only is HubSpot allowing dogs in the workplace to increase employee happiness and productivity, they’re introducing their P.E.T. Program, which stands for “Productive Employee… Things.” This allows pets of any kind, whether they’re chickens, llamas, or lions, to accompany employees in the workplace. What could go wrong? Dogs have all kinds of jobs, but they have no careers in the tech industry. WonderPaw is a new app from Wonder Workshop that teaches dogs to code. What kinds of programs and apps will your dog create? Who knows? But it’s probably going to involve lots and lots of treats. 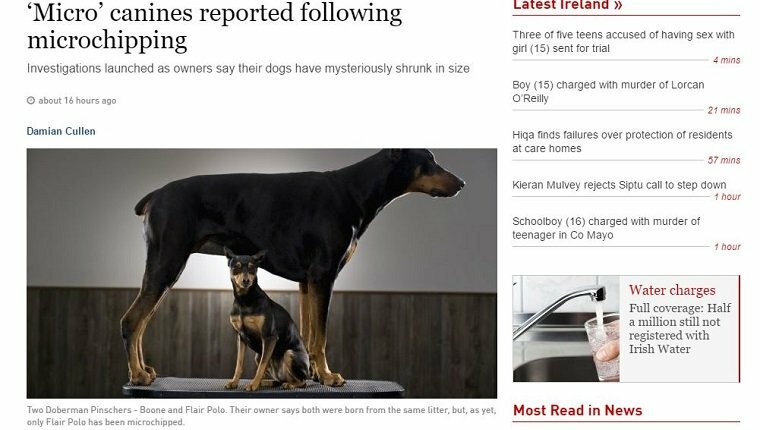 We’re strong advocates of microchipping your dog, but The Irish Times reports that there may be some unintended side effects. Apparently dog owners are noticing that their pups are being shrunk in size after getting microchips. We love puppies, but half-sized dogs aren’t what we have in mind. Those must be some weird microchips. Has the spark in your dog’s love life gone out? Lingerie company ThirdLove has your canine covered, but just barely, with some lovely lingerie choices made just for pooches. They hope to help your pup find the “pawfect fit” with bras for dogs. Not sure why a dog needs a bra, but all bets are off on April Fools’ Day! Would your pup like to move into 1225 Best Friend Drive? At a mere 275,000 dog biscuits, your dog’s dreams of being a home owner are probably nowhere within reach. But you’ve already got a loving forever home for him. 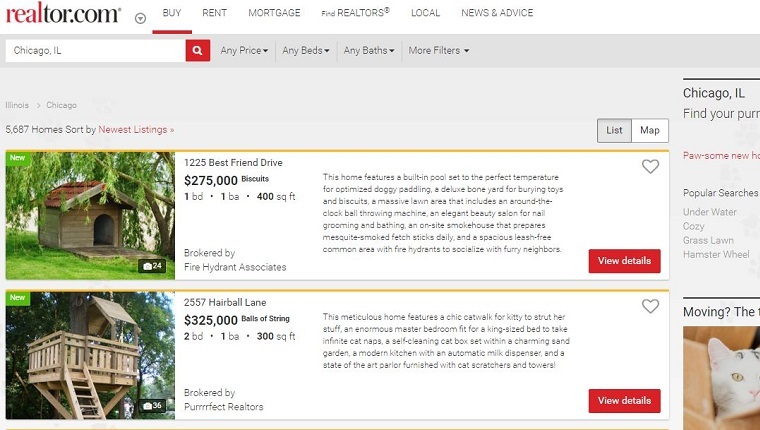 Also listed on Realtor.com are a cat house for 325K balls of string and a fish tank for 415K Aquarium Castles. Studying is stressful. But it’s a lot less stressful when your tutor is a cute, fuzzy puppy. 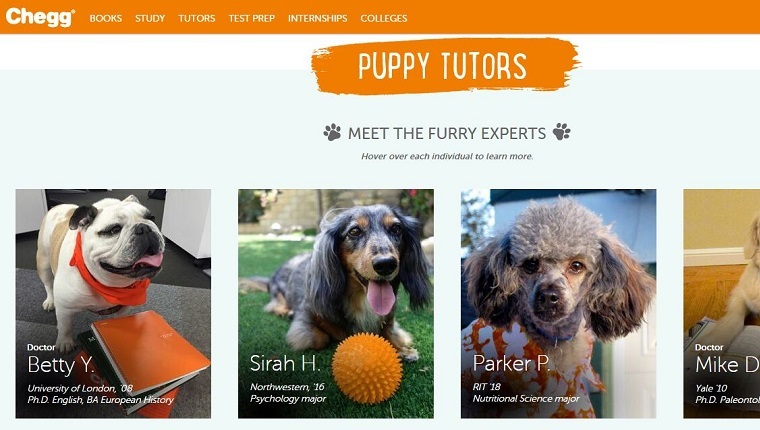 Chegg is a college student’s best friend when it comes to finding used books and study materials, and now they’re offering man’s best friend to keep grades high. No way puppies would be a huge distraction instead! 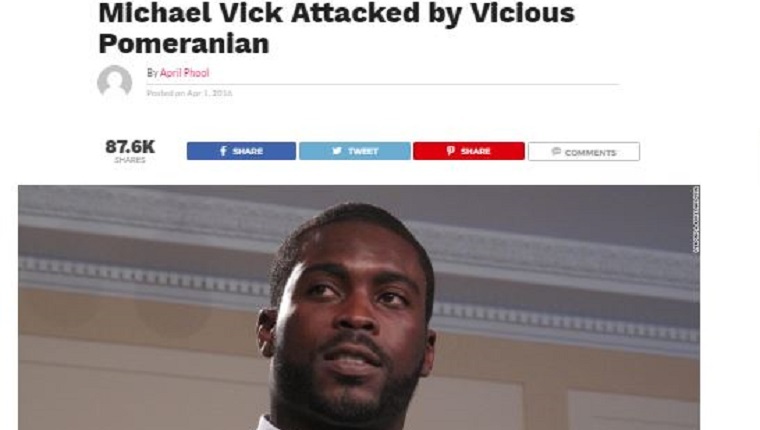 We’re no fans of Michael Vick around here, and in a delicious story of Karma coming around, The Dogington Post reports that the former dogfighting ring organizer was viciously attacked by a tiny little Pomeranian. The Pom also peed on his sneakers for good measure. What’s your favorite April Fools’ Day Prank? Let us know in the comments below!